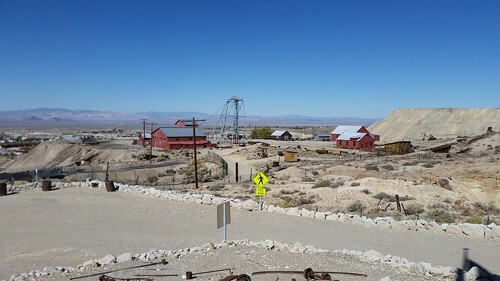 Tonopah was the last of the silver boom towns. Today, the town thrives on tourism, celebrating its past while also looking forward to a bright future. 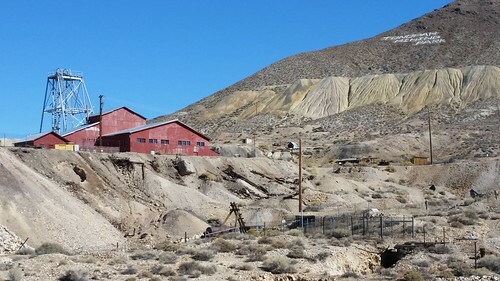 The Tonopah Mining Park dominates the skyline over downtown and is well worth a visit to explore the preserved mining works. 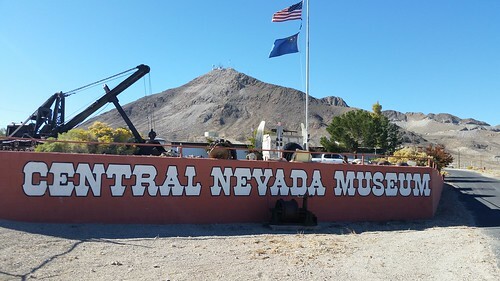 The Central Nevada Museum celebrates Nevada’s “wild west” heritage. 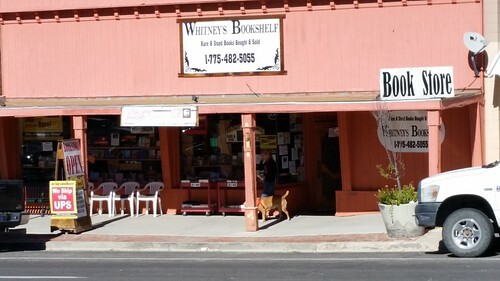 Downtown includes a classic bookstore of the kind you won’t find in a power center. Budget some time to roam the stacks here. 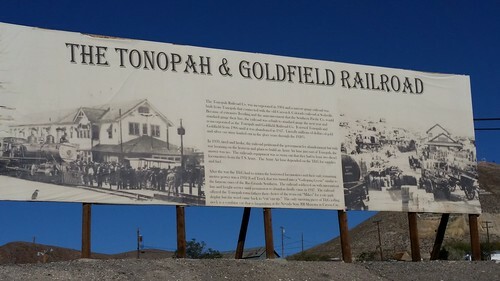 Although the tracks are gone, the heritage of the Tonopah & Goldfield Railroad Remains. Many signs of the railroad are still around the town. 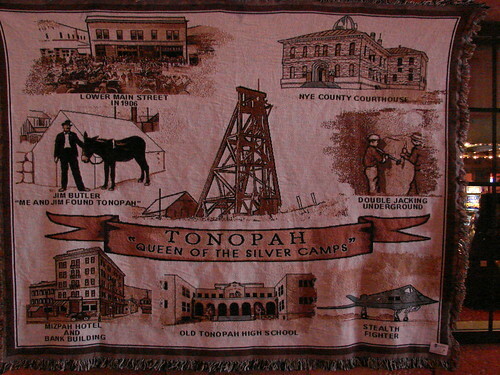 But Tonopah is more than just a Old West Theme Park town. 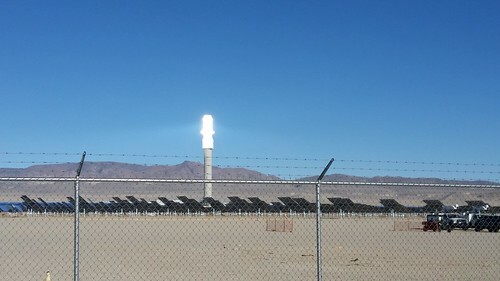 Tonopah is home to the Crescent Dunes Solar Thermal Power Plant, where hundreds of mirrors (not photo-voltaic panels) focus the sun’s rays upon a central tower. The concentrated sunlight melts salt and the heat from the molten salt is used to run steam turbines, providing around-the-clock electricity. Most of Tonopah’s electricity is generated by solar thermal power, which will make our Westercon one of the “greenest” of all time. 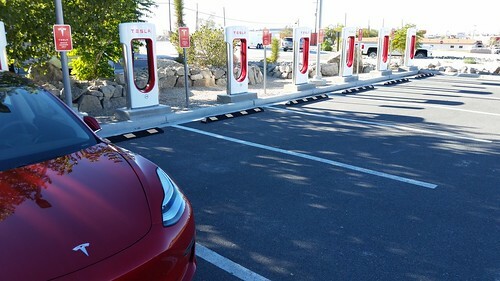 You can even charge your electric car on solar-thermally-generated power at the car charging station in downtown. 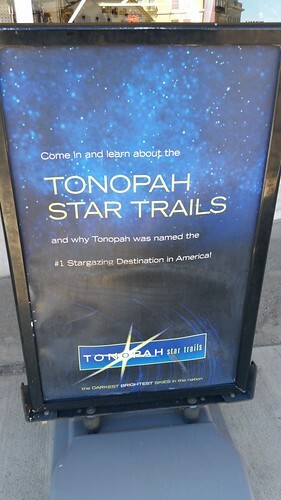 Tonopah has clear skies and very little light pollution, leading to it being named the “#1 Stargazing Destination in America.” The town even has a Stargazing Park on the south end of town, with points for setting up telescopes and tables and benches for turning out to see the star-filled skies. We hope you will join us in Tonopah to share this jewel of central Nevada!